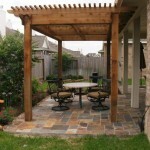 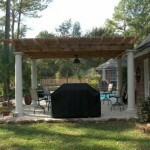 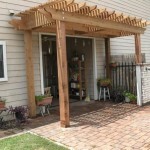 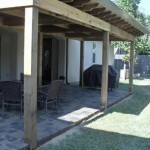 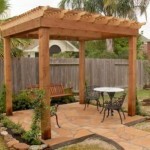 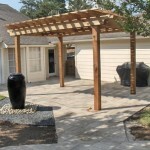 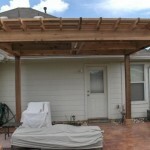 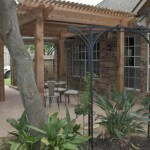 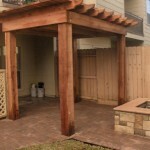 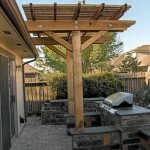 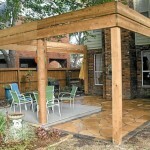 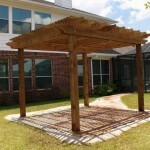 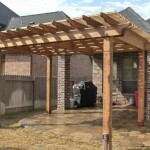 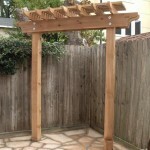 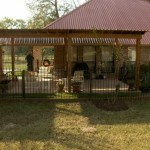 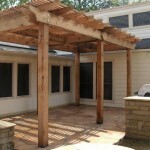 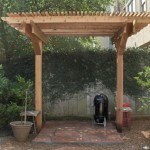 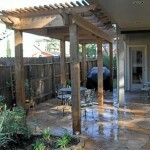 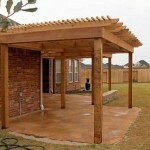 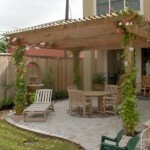 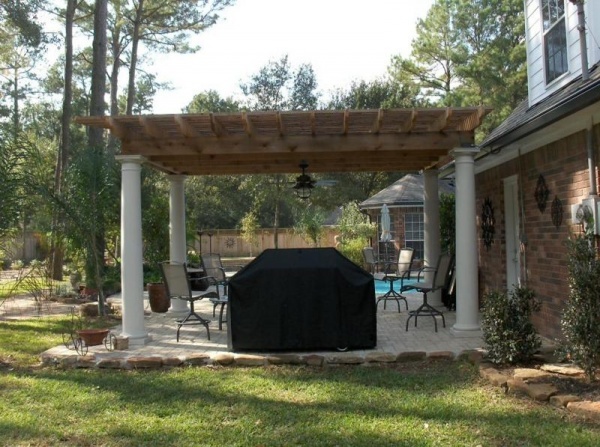 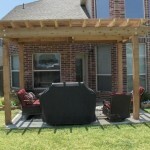 Custom Pergola, Trellis & Lattice Panel Designs! 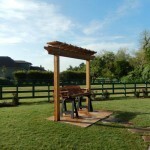 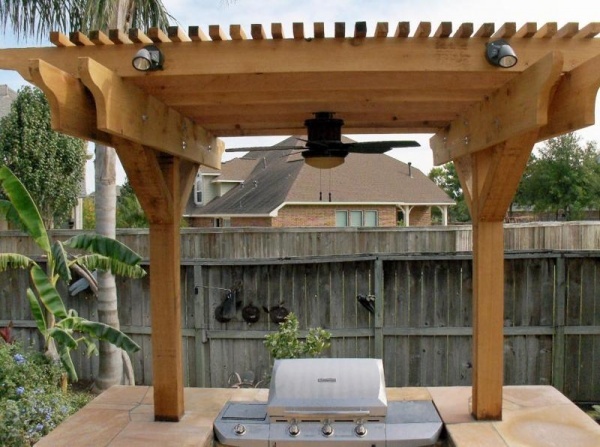 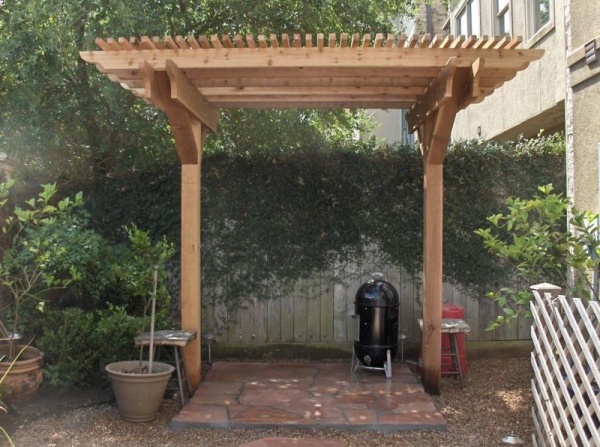 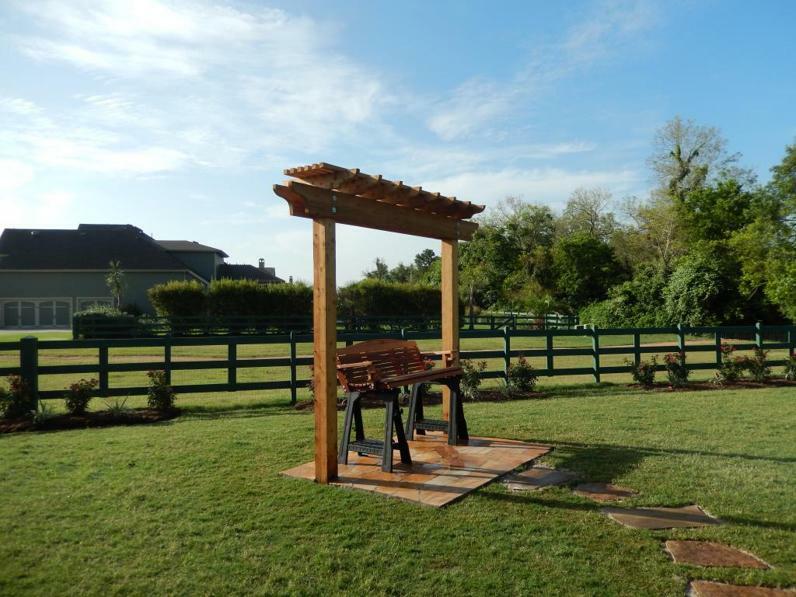 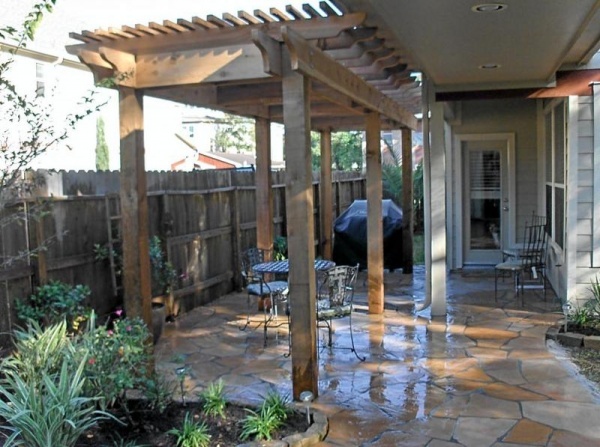 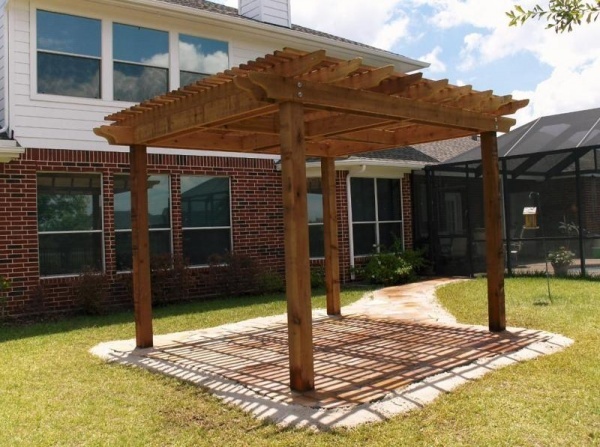 All of our pergolas and trellis are made of red western cedar, 6×6 posts set in concrete, 2×10 bands and dividers, 2×6 rafters with decorative tails, 2×2 shade tops with 2″ spacing. 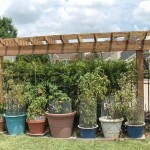 Variations to 2×2 spacing, decorative tails, etc. 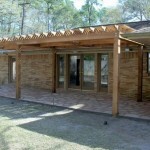 are also available. 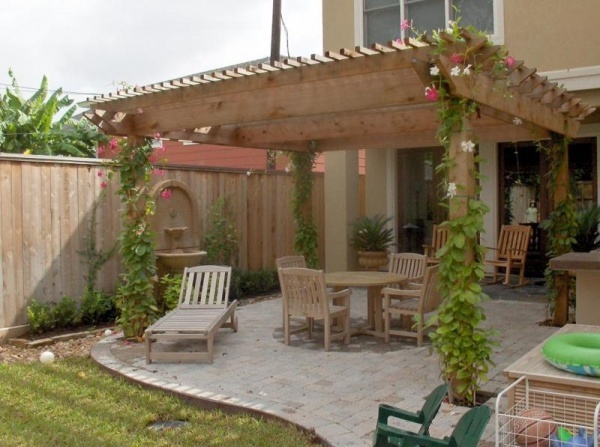 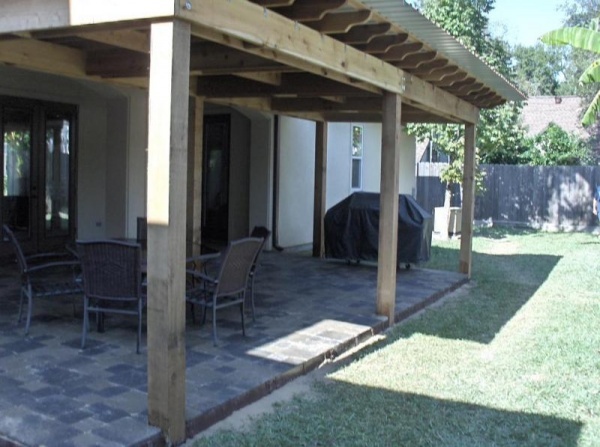 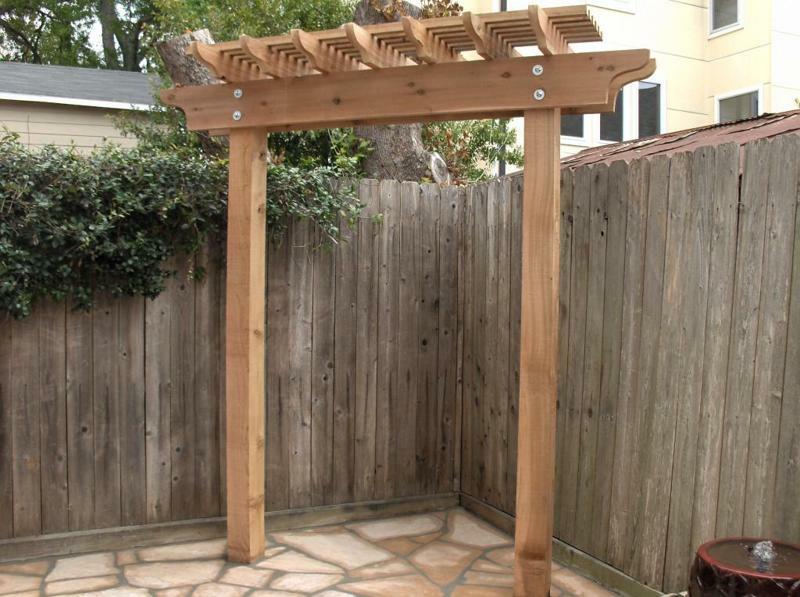 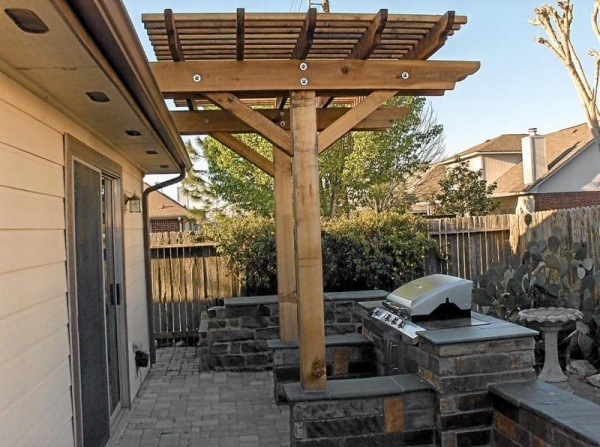 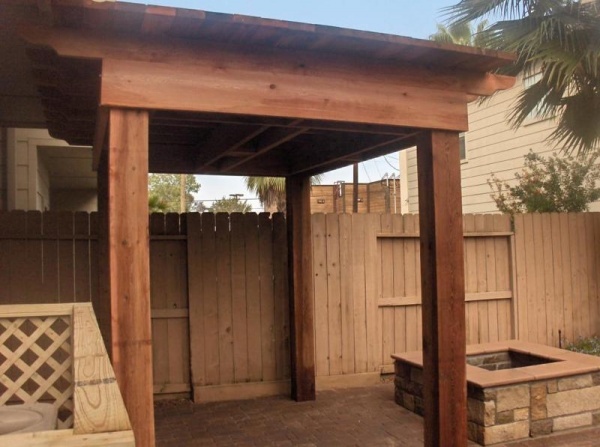 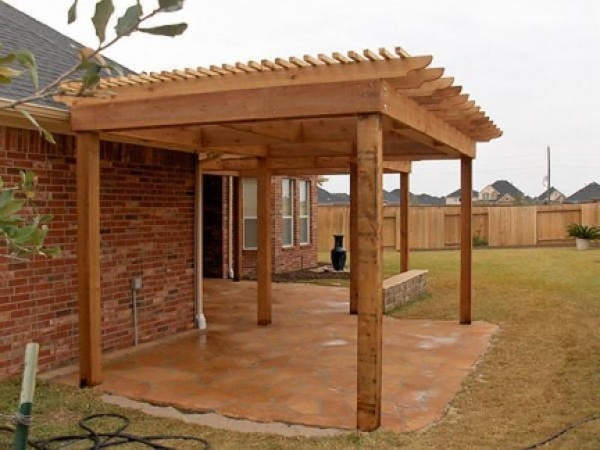 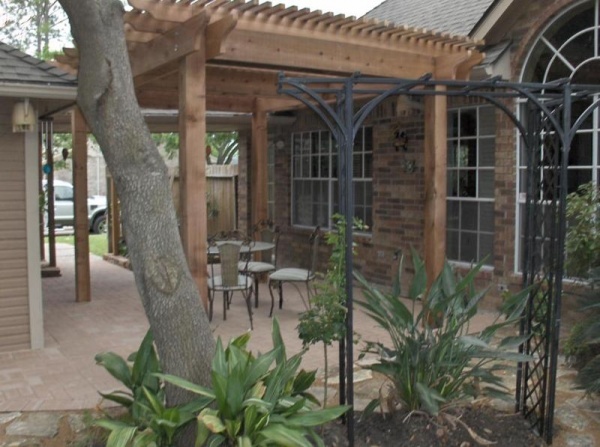 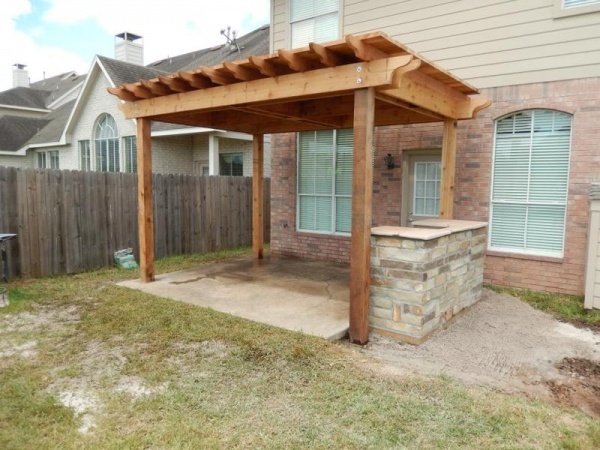 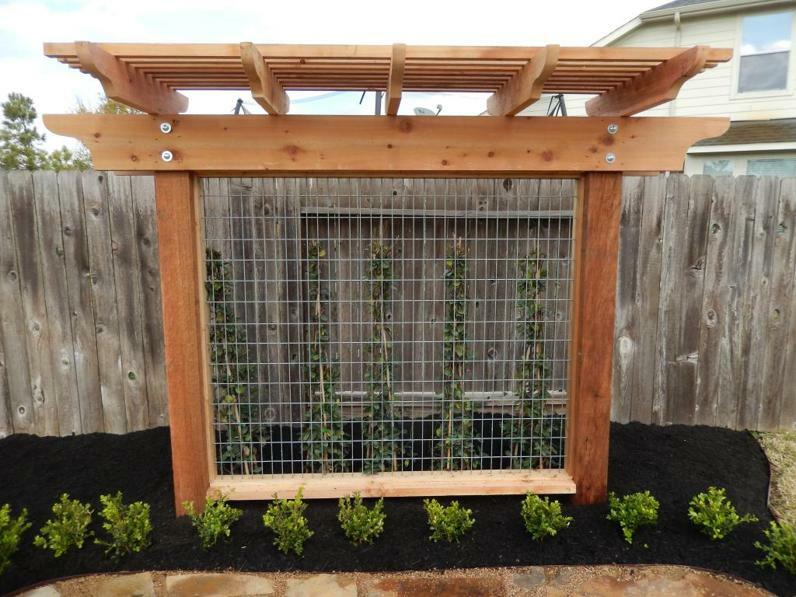 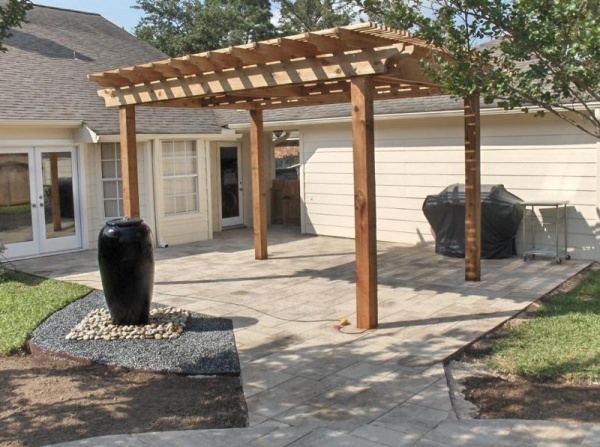 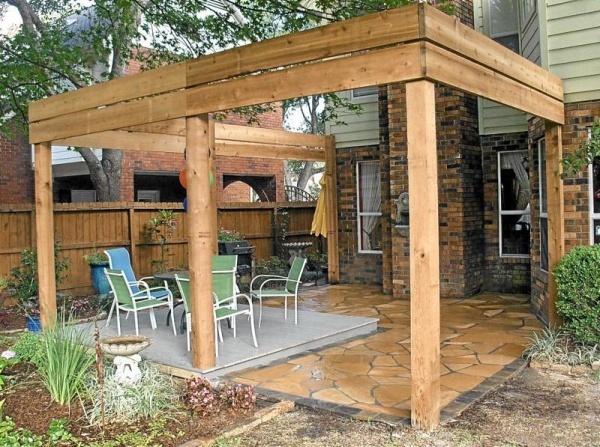 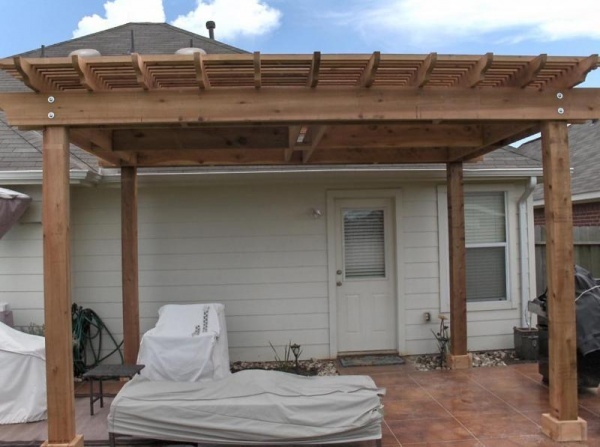 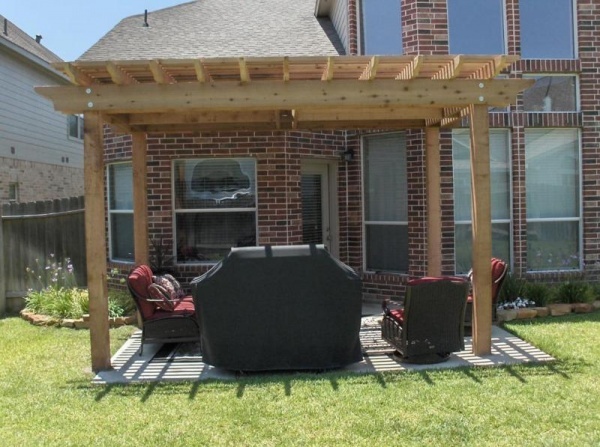 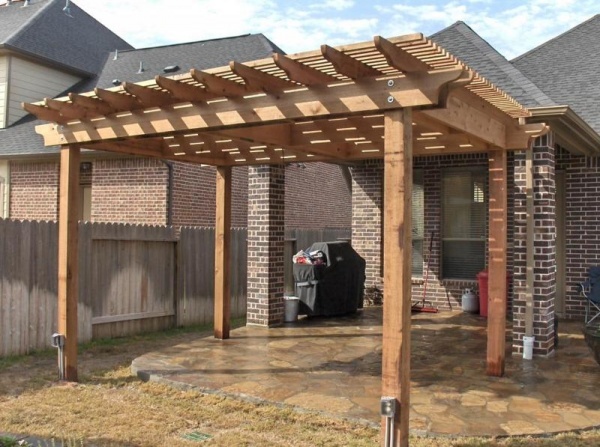 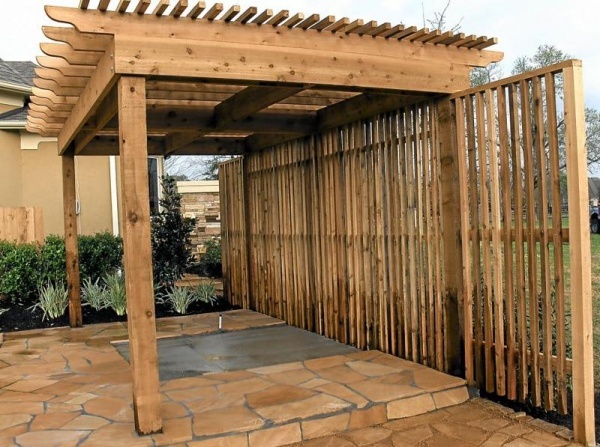 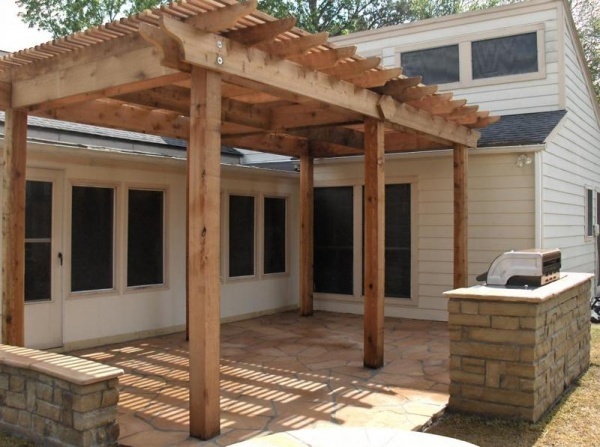 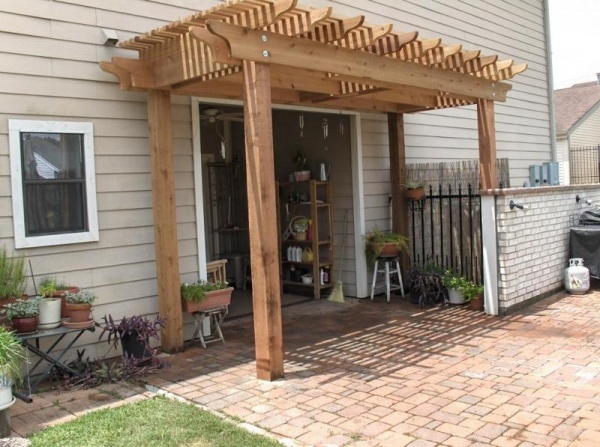 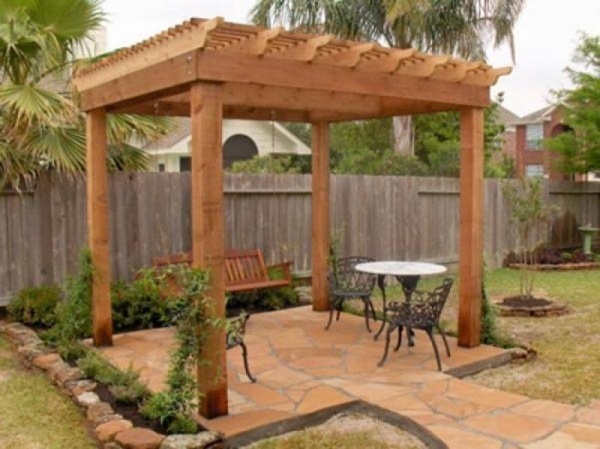 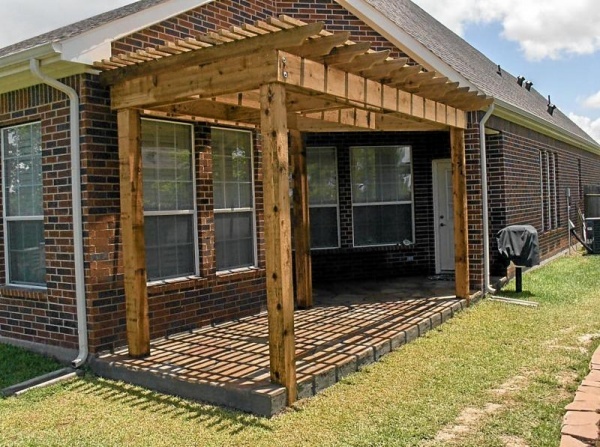 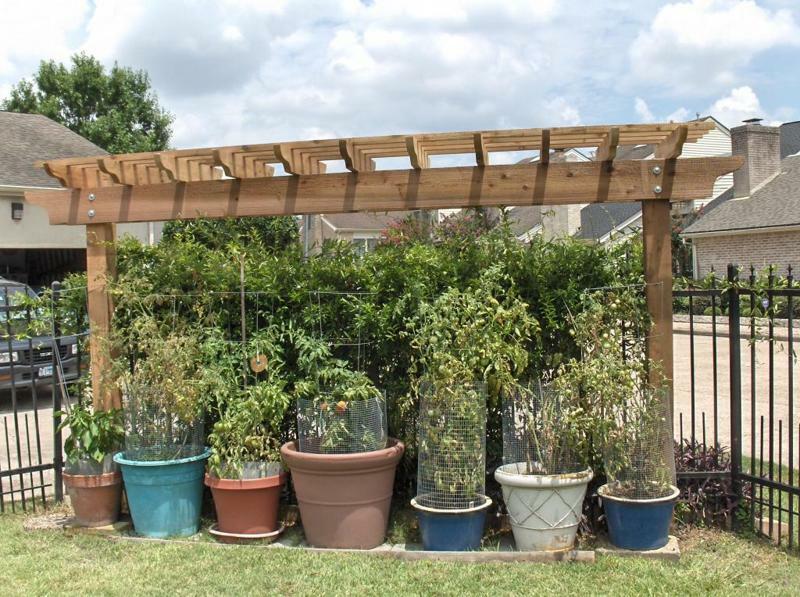 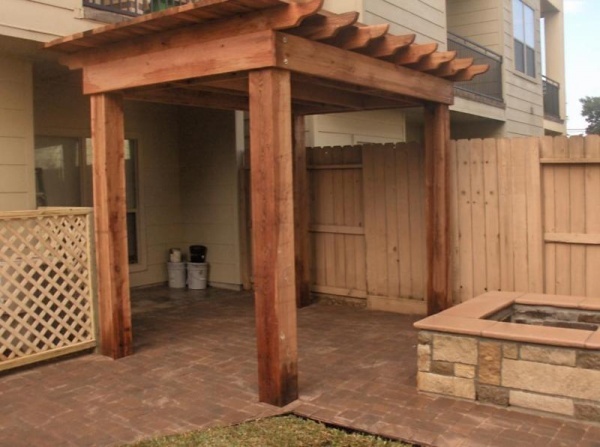 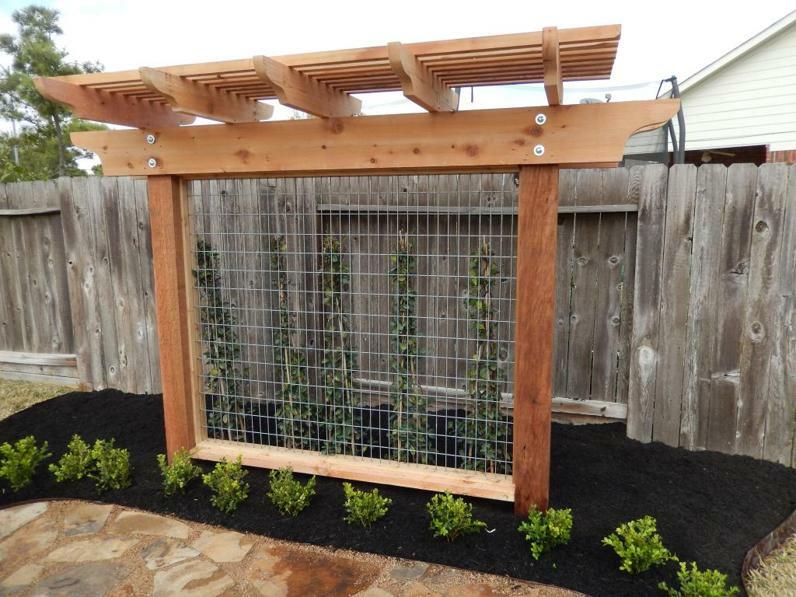 Trellis are typically two posts, 8′ to 10′ overall widths, to accommodate a porch swing, or perhaps a cedar or galvanized panel for using plants or privacy. 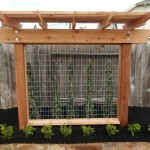 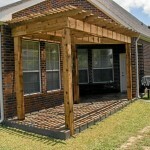 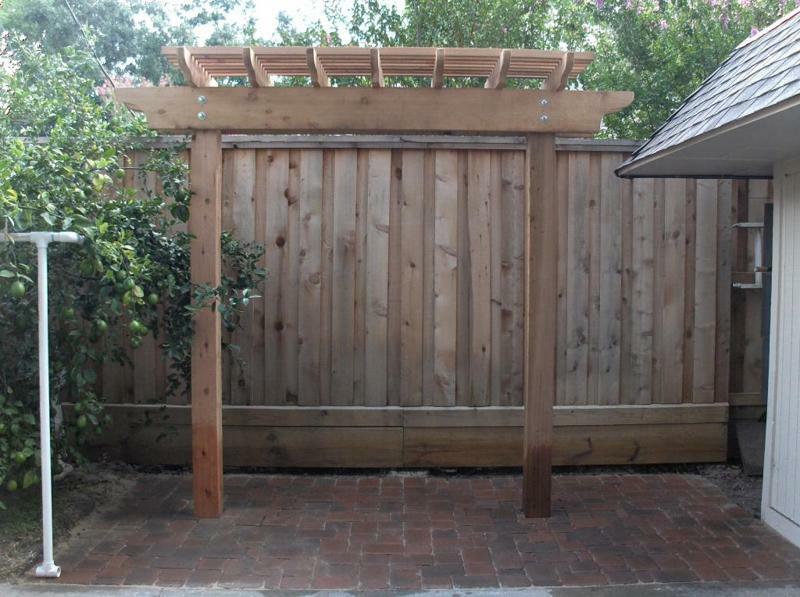 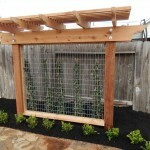 Lattice panels are usually framed in treated wood 4×4 posts, frames, top rails, etc. 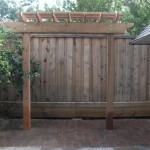 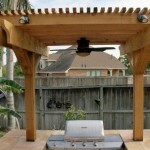 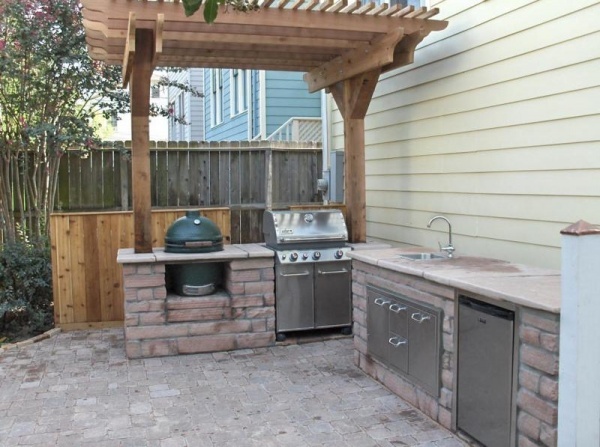 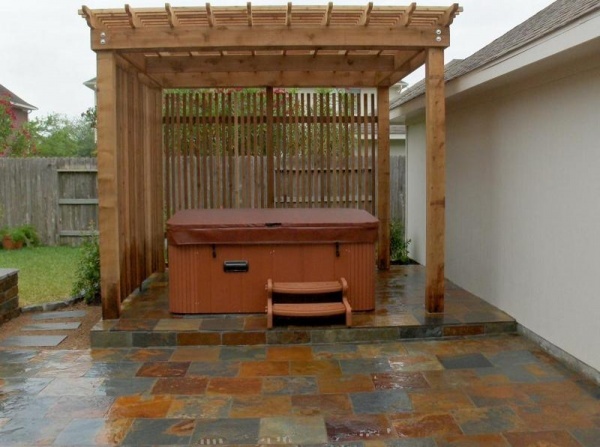 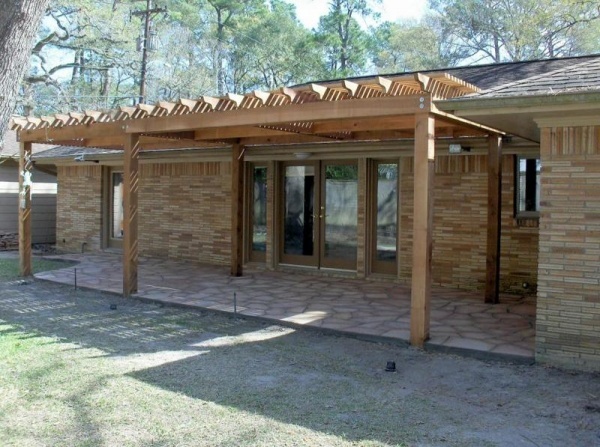 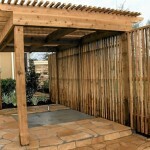 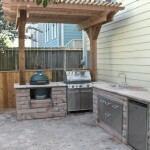 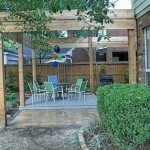 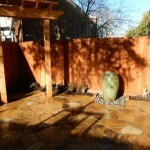 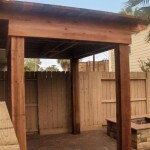 with either cedar lattice panels or galvanized panels. 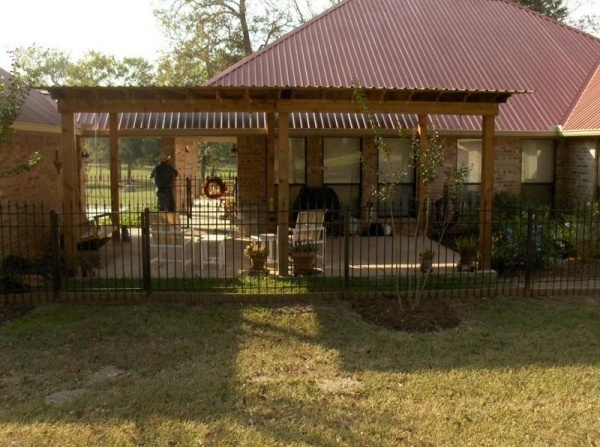 Galvanized panels are typically 2″x4″ spacing with 4″x4″ also available. 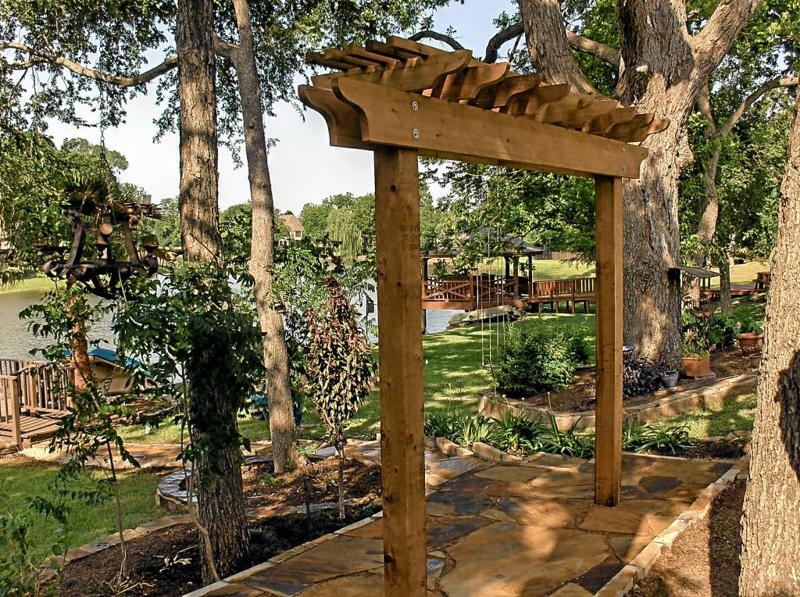 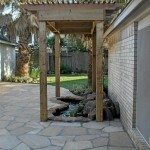 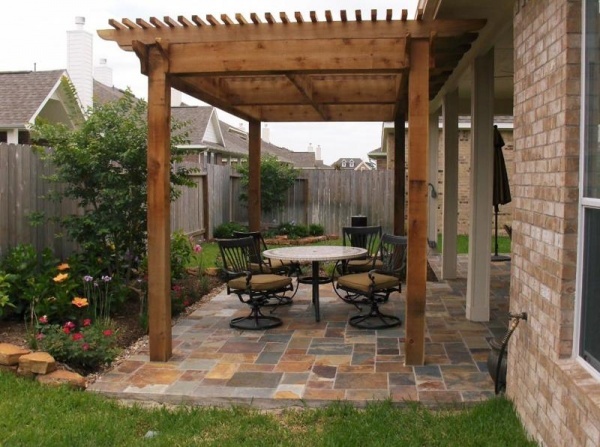 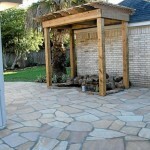 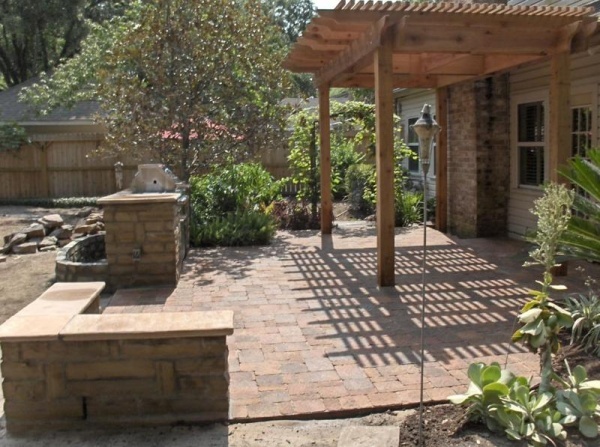 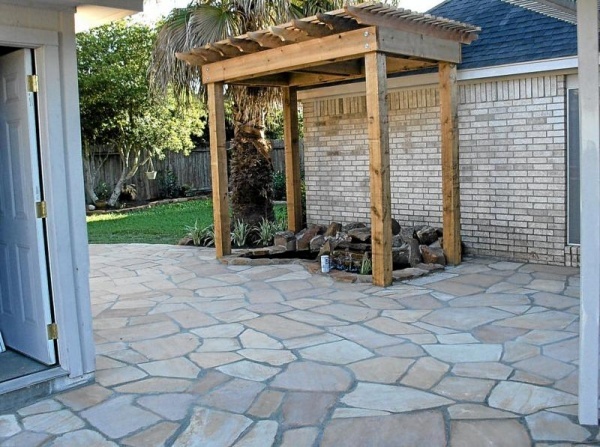 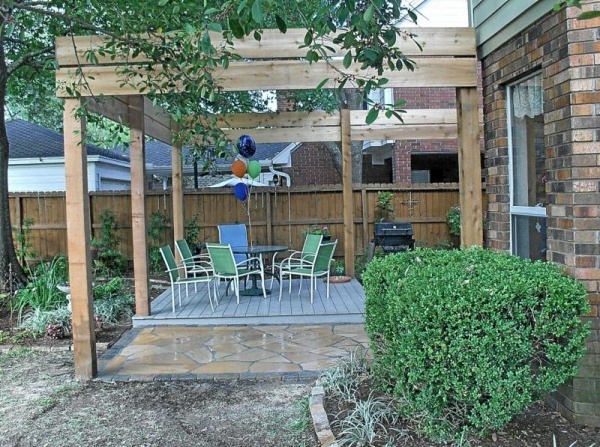 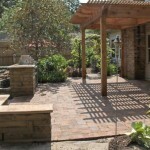 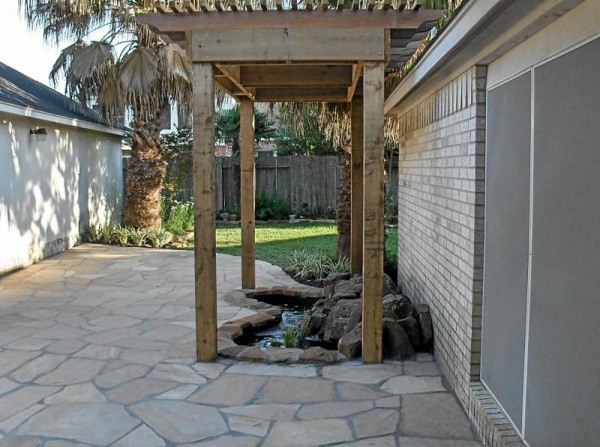 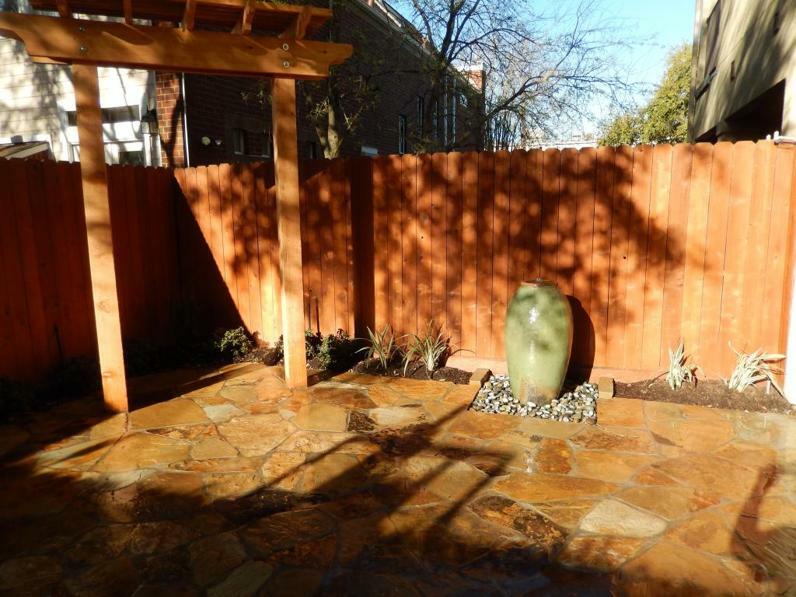 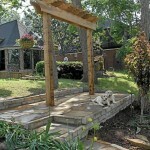 Cedar trellis, oklahoma chop rock walls, and buckskin flagstone and granite gravel patio. 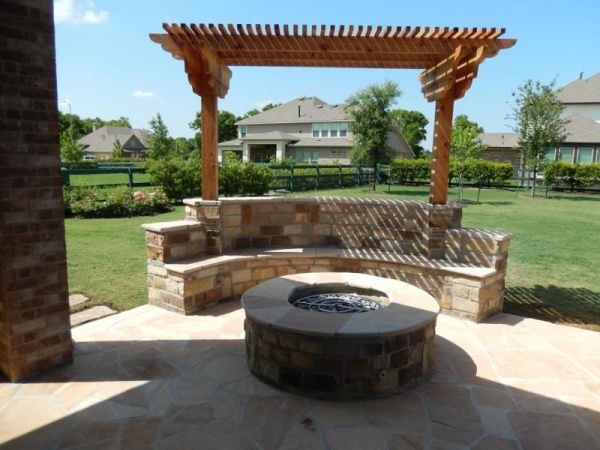 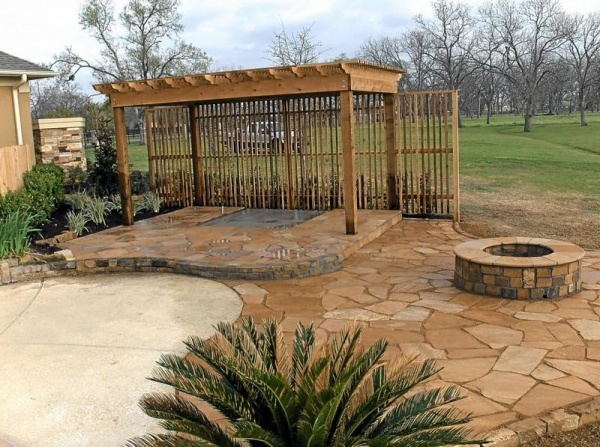 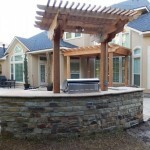 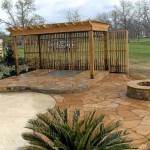 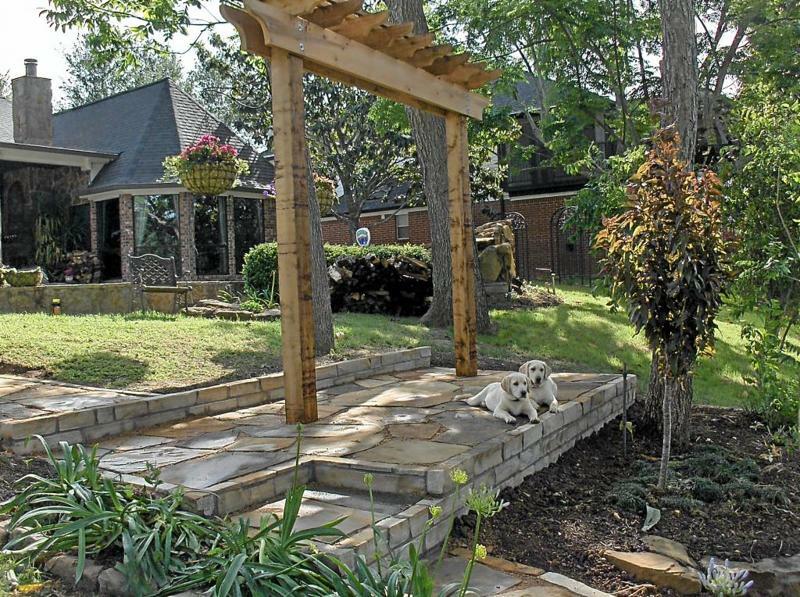 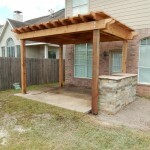 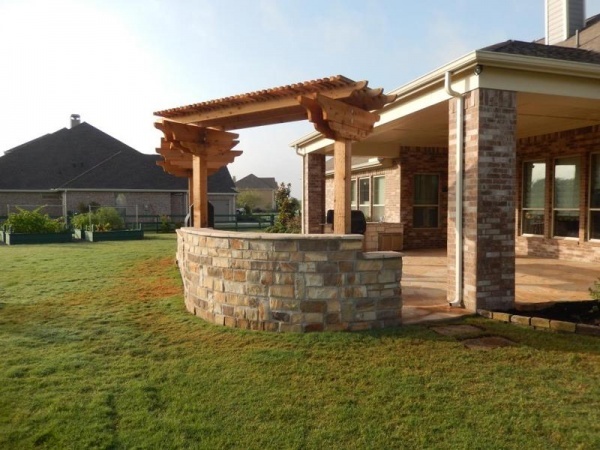 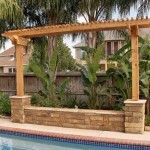 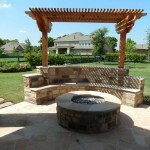 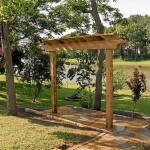 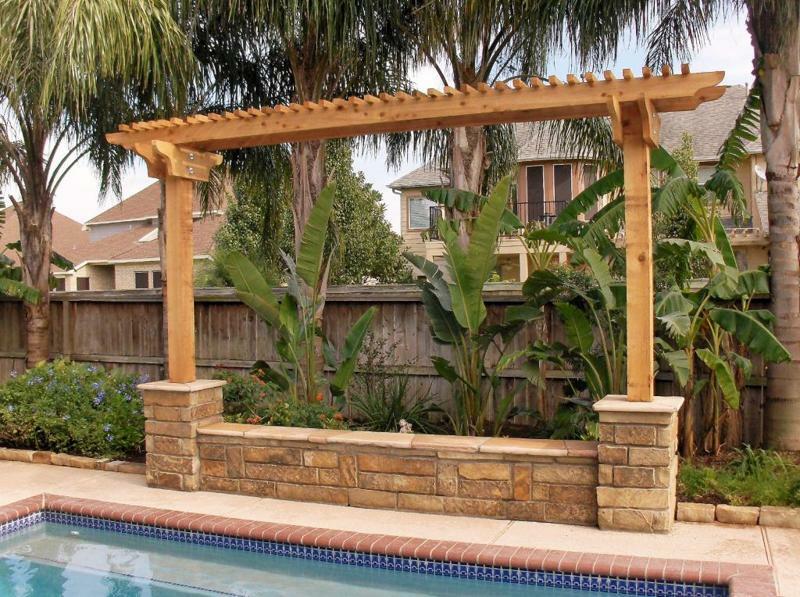 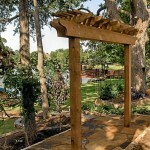 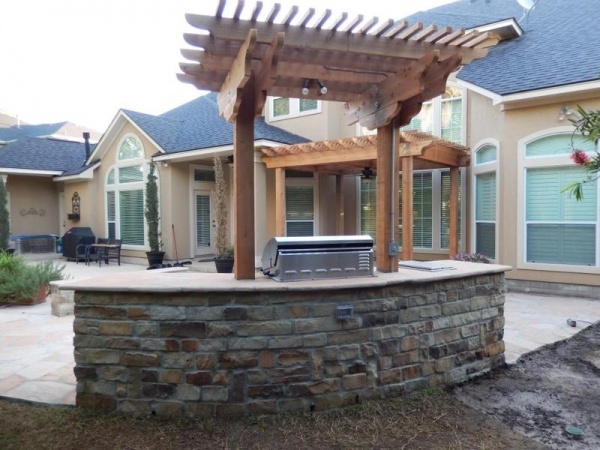 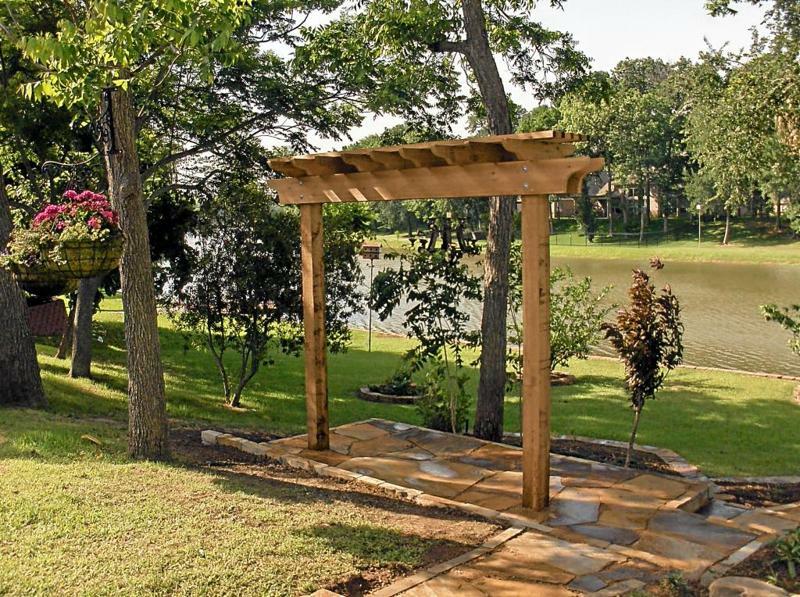 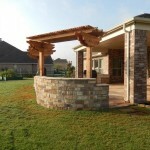 Oklahoma chop rock sitting wall with cedar trellis and stone columns.